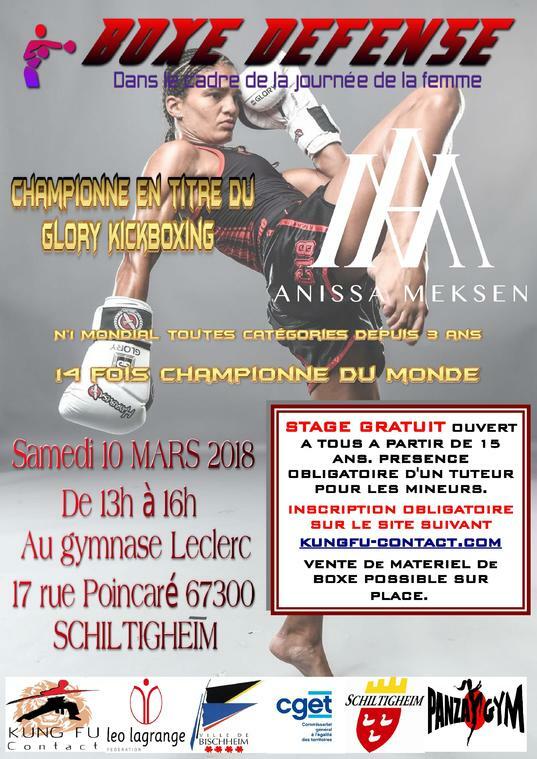 ANISSA MEKSEN 14x championne du monde !!!! STAGE GRATUIT OUVERT A TOUS A PARTIR DE 15 ANS. PRESENCE OBLIGATOIRE D'UN TUTEUR POUR LES MINEURS. VENTE DE MATERIEL DE BOXE POSSIBLE SUR PLACE.